Rachel Heng is our guest this week. We’ll be talking with her about her debut novel, SUICIDE CLUB, out July 10, 2018 [Sceptre, Hachette (UK) and Henry Holt, Macmillan (US)]. Did you know we have over 150 podcast episodes? We sure do. To listen, just scroll/search our guests here on our website and download the audios from each page; or you can download our podcast from the Podcast app and iTunes. We’re really glad you’re here, and thanks for listening to our show. 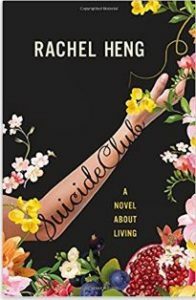 Rachel Heng’s debut novel, Suicide Club will be published by Sceptre, Hachette (UK) and Henry Holt, Macmillan (US) in July 2018. Suicide Club will also be translated and published in 8 other territories: Sweden, Portugal, Italy, Czech Republic, Taiwan, China, Poland and Slovakia. Rachel’s fiction has received a Pushcart Prize Special Mention, Prairie Schooner‘s Jane Geske Award, and has been recommended by The Huffington Post, NYLON, Book Riot and The Independent. Rachel’s short stories have been published in The Offing, Prairie Schooner, The Adroit Journal, the minnesota review and elsewhere. 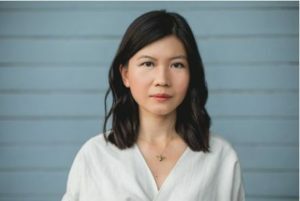 She has been the recipient of grants and fellowships from the Fine Arts Work Center, the National Arts Council of Singapore and the Michener Center for Writers. Rachel was born and raised in Singapore. After graduating from Columbia University with a BA in Comparative Literature & Society, she spent several years working in private equity in London. She now lives in Austin, where she is pursuing her MFA in Fiction and Screenwriting at Michener Center for Writers at The University of Texas. She is currently also an assistant editor for the O Henry Prize Anthology. Everybody wants to live forever. In this debut set in near-future New York City, where lives last three hunder years and the pursuit of immortality is all-consuming, Lea must choose between her estranged father and her chance to live forever. Lea Kirino is a “Liver,” which means that a roll of the genetic dice has given her the potential to live forever — if she does everything right. And Lea is an overachiever. She’s a successful trader on the New York exchange– where instead of stocks, human organs are now bought and sold- she has a beatiful apartment and a fiance’ who rivals her in genetic perfection. And with the right balance of HealthtechTM, rigorous juicing, and low-impact exercise, she might never die. For more information, please see the author’s website. You can keep up with her on Twitter and Instagram.